The Major Contemporary LXX Translation Projects | Septuaginta &c.
Beginning with the present post, I am launching a Resource Review series devoted to the various current approaches among Septuagint scholars to “translating the Translation.” What I mean by this is the different strategies employed in the four current translations of the Septuagint itself. While one might think that the task of translating the LXX would be straightforward enough, it is not. Of course, even translating the New Testament – originally composed in Greek, not as a translation – can be controversial. 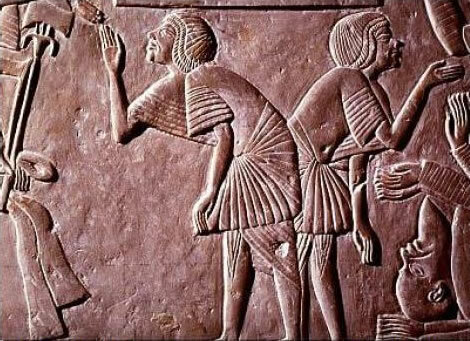 But when it comes to translating a translation like the Septuagint, countless questions of methodology arise, each of which demands taking a stance on any number of other difficult and uncertain issues. For beginners entering the discipline, this topic can be like navigating a corn maze that turns out to have been built over a minefield. Complexity and hazards abound. So for the sake of the newcomer, as much as myself, I would like to overview the four modern translation projects, some of which are complete, others ongoing. In this post, I will simply identify these projects and their respective teams of scholars, leaving the details of their work for future posts. How to translate?Most of what I will do in this series will be to present the strategy of each translation project, without delving too much into critique. Enough scholars are spending their careers on that as it is, and in far heavier-hitting formats than blog posts! As I said, there are four major, modern language translations. Hopefully you weren’t expecting them all to be in English; only one is. The other three are in French, German, and Spanish. You may be thinking, “I can’t read [insert one or more language here]!” Well, first of all, you should consider learning, especially if you are interested in Biblical Studies doctoral work. Secondly, even if you can’t read the translation translation, you can learn from how it was done. Remember, we’re talking about process, not (necessarily) product in this series. The first project is NETS, the English translation complete with the deliciously long subtitle: “and the Other Greek Translations Traditionally Included under That Title: A New Translation of the Greek into Contemporary English – An Essential Resource for Biblical Studies.” NETS was completed in 2007 and has already undergone a reprinting. Carried out by a group of scholars under the auspices of the International Organization for Septuagint and Cognate Studies (IOSCS), this translation will eventually have a commentary series published along with it. NETS is also accessible freely online (copyright), although owning a hard copy is well worth the cost since you’ll be referring to it so often. You can also purchase it for Accordance as well as Olive Tree. If you’re monolingual (monolectorial? ), you do have two very much older options to choose from in English. One is the translation by Charles Thomson (here), the other Sir Lancelot Charles Lee Brenton (here). Given the price difference, and the differences in the state of LXX studies, I would recommend NETS, generally speaking, for an English translation. If you couldn’t guess, the BdA translation project is in French, published by Éditions du Cerf. Launched by the formidable scholarly figure of Marguerite Harl in 1986 at the Université de Paris-Sorbonne, and assisted by Gilles Dorival, Olivier Munnich and others, the project is not yet complete. A number of volumes remain to appear, awaited with great anticipation. One of the main differences from NETS is that BdA includes rather extensive textual commentary throughout, which is the primary reason it is multi-volume. The introduction and translation notes made in each volume are themselves worth the purchase price if you are working closely on a particular OT book. In addition to providing a French translation of the Septuagint, BdA is a collection of top tier scholarship that cannot be overlooked. The LXX.D project was completed for the German Bible Society, and was the first of its kind in that language. The translation was undertaken between 1999 and 2008 by eighty seven scholars, and then edited by the eminent Drs. Wolfgang Kraus (Koblenz) and Martin Karrer (Wuppertal), along with nine co-editors. As the picture to the left indicates, there are two volumes for LXX.D. In one volume, textual studies and book-by-book introductions are presented, while in the second volume the actual German translation appears, along with relevant commentary. This approach is similar to that of BDA, though less extensive, and likewise must be consulted for its valuable contributions. Lastly, there is the Spanish translation, La Biblia Griega, published by Ediciones Sígueme under the leadership of Natalio Fernández Marcos and María Victoria Spottorno. This project will be produced in four volumes: I. Pentateuco (=Pentateuch); II. Libros históricos (= Historical Books); III. Libros poéticos o sapienciales (=Poetry & Wisdom Literature); and IV. Libros proféticos (=Prophetical Books). The first three volumes came out in ’08, ’11, and ’13, respectively, and the last is due in 2015. I have not personally seen any of these works, so I cannot comment much further. 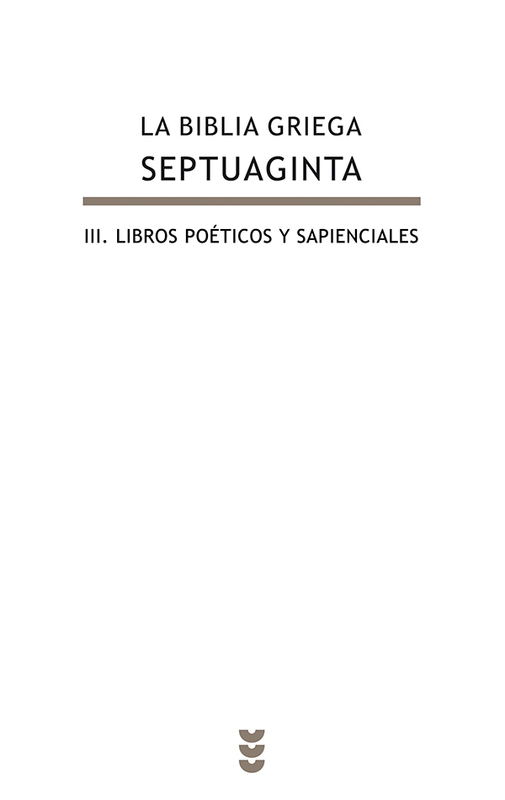 Suffice it to say that Natalio Fernández Marcos has produced one of the best LXX introductions available, The Septuagint in Context, so his work is well worth attention generally speaking. In the not-too-distant future I will deal with each of these translations and outline their various strategies to their task. Hopefully this will prove to be a useful introduction to some common issues in the discipline of Septuagint study. 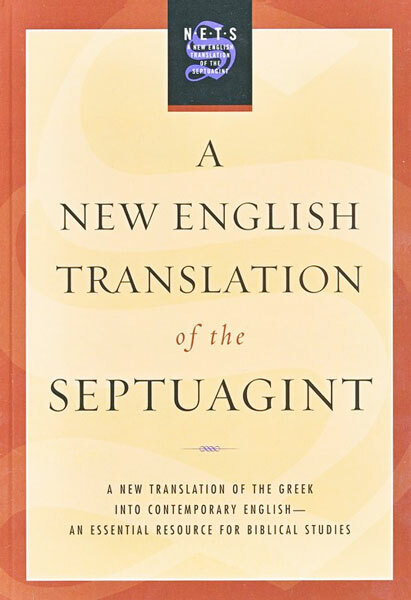 Also worthy of mention are the Lexham English Septuagint (https://www.logos.com/product/36588/the-lexham-english-septuagint) and the translations published in Brill’s Septuagint Commentary Series (http://www.brill.com/publications/septuagint-commentary-series). Thanks, Ken! You’re right – these all deserve attention as well. Do you know of any published material on the translation methodology for these projects? Pingback: New PhD Program in Septuagint Studies (McMaster Divinity College) | Septuaginta &c.